If you're getting married in the southern region of New Jersey, then you are probably looking for the best wedding photographers south jersey. This image is one of my favorites! 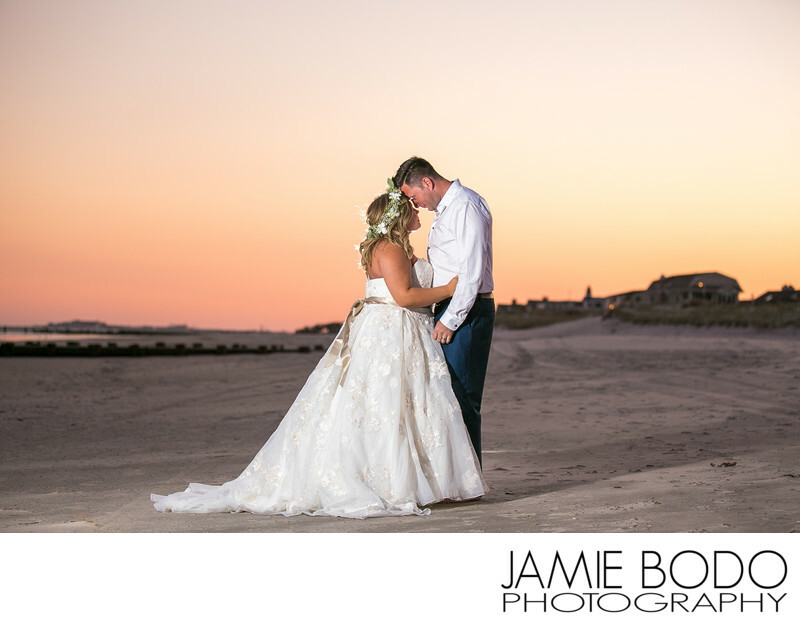 This couple was willing to take 15 minutes away from their reception in Stone Harbor, NJ to take these private and perfectly orchestrated couples portraits on the beach during sunset. The best wedding photographers in south jersey will be prepared with lighting to make their sunset images look magazine worthy. Location: Stone Harbor, New Jersey.